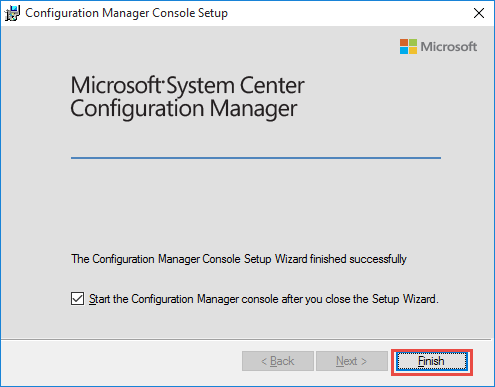 This blog post is a step-by-step guide I used for upgrading Configuration Manager 2012 R2 to 2015 11 and any issues/fixes I came across or implemented. 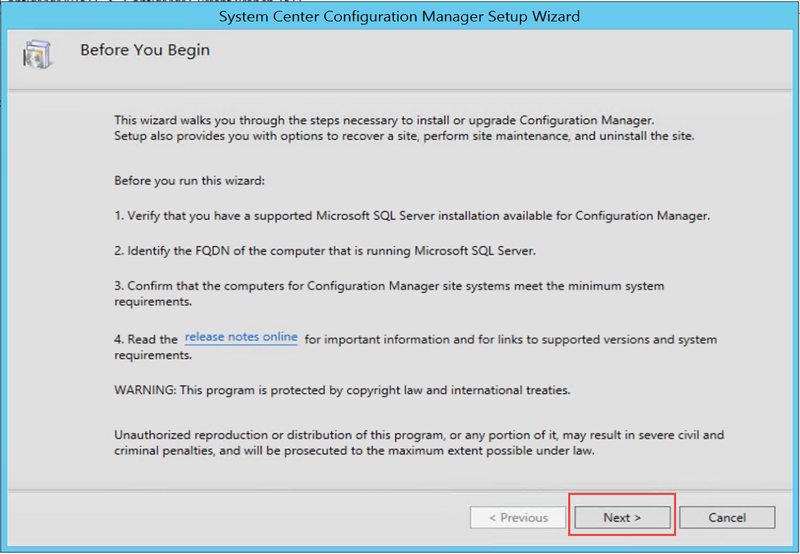 Create a new VM and install the same exact SQL server version as your production server. 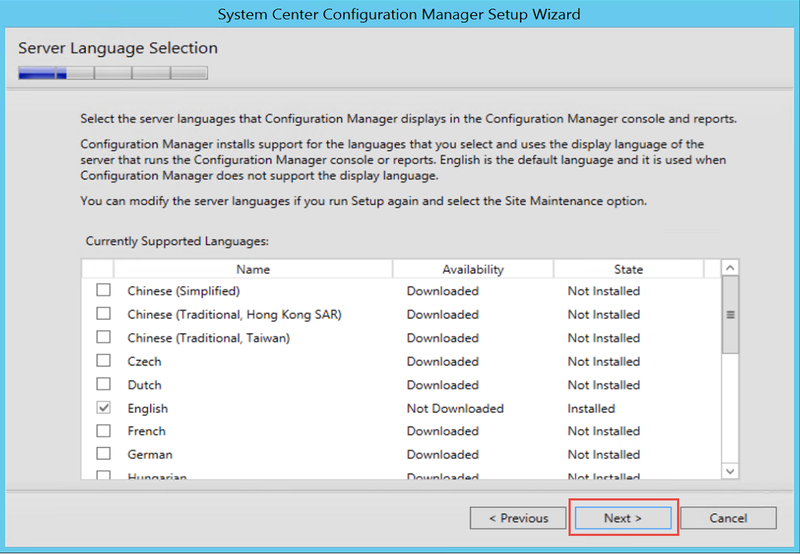 See MS article on how to determine version if unsure. 1. 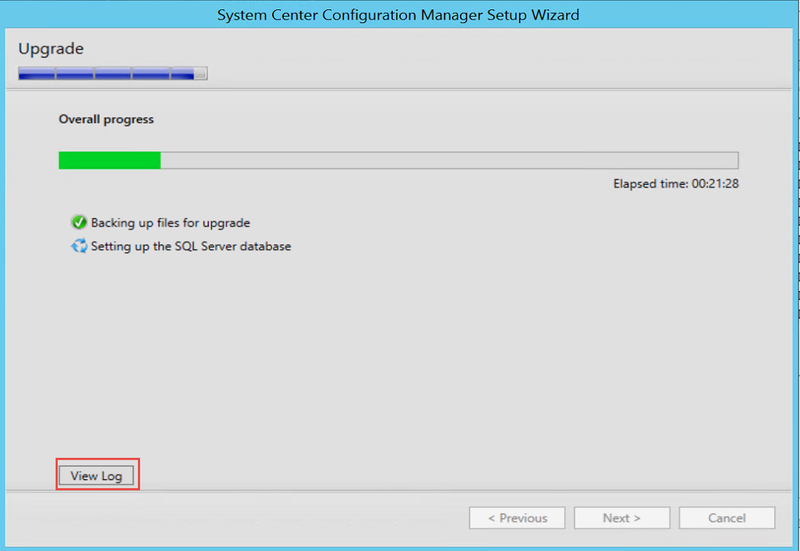 Load SQL Management Studio on the primary production server. 3. 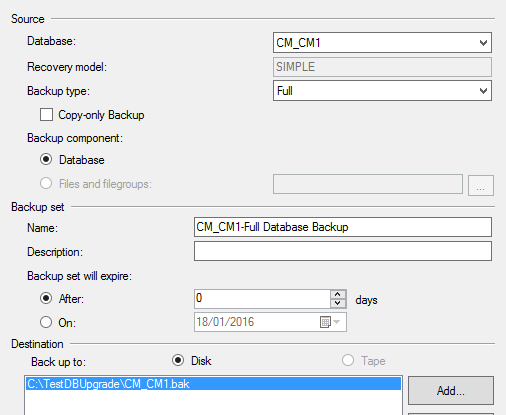 Backup the Database and copy the .BAK file to the new VM. 1. 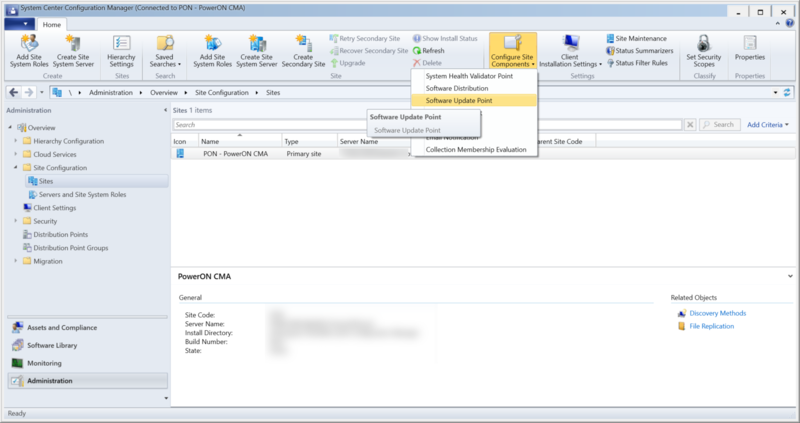 Load SQL Management Studio on the new VM. 2. 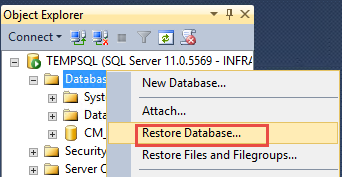 Right-click and select restore database. 4. 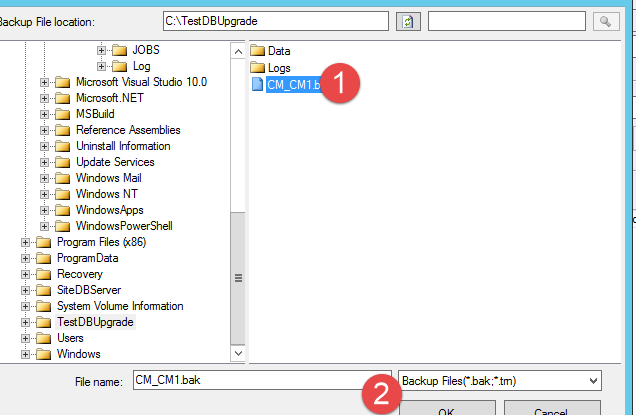 Under file options relocate the database to directory with enough space if needed. Once the Database has been recovered, you will need to assign permissions to your user to have access. 6. 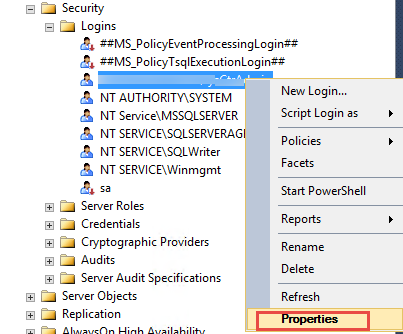 In SQL Management Studio on the new VM, expand Security>Logins and right-click select the properties of your user. 7. 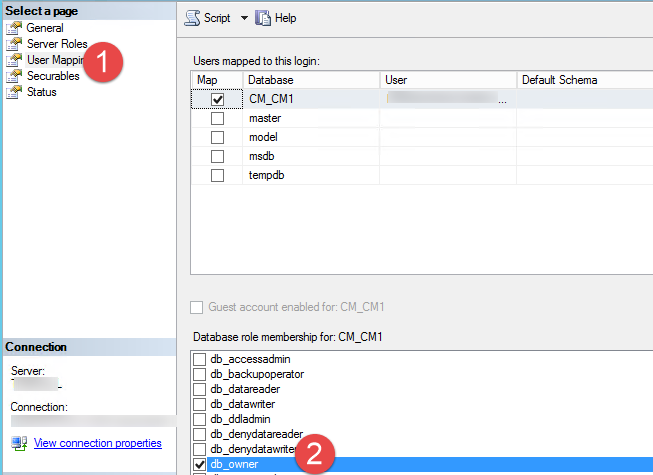 Under User Mapping, select the recovered DB and assign your user db_owner rights. 1. Load PowerShell and CD to the setup.exe location of the 1511 setup (SMSSETUPBINx64). 4. Click confirm on the message that comes up relating to performance time. 6. You’ll know when the test upgrade has finished as the log will show the below. 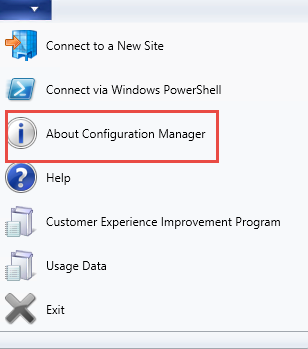 INFO: Configuration Manager Setup has successfully upgraded the database. 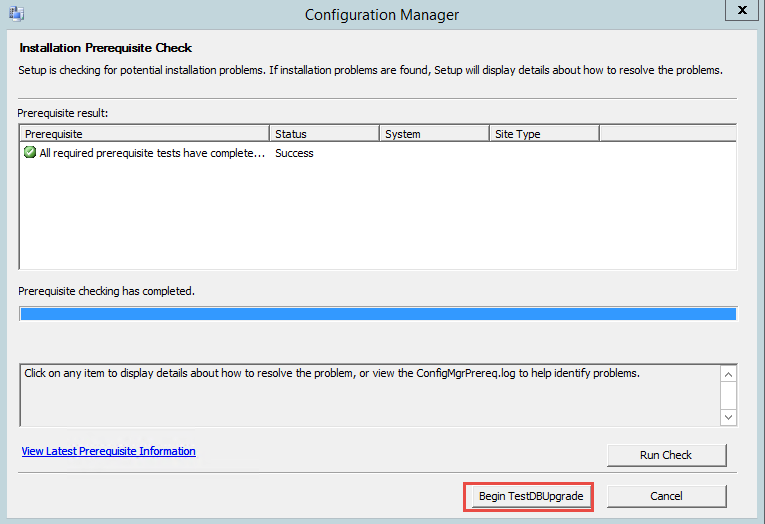 Before installing the latest ADK there is a know problem with the version to install. Please read the below before continuing. I’ll be using the retail version for this demo. 1. On the primary server, remove any previous versions of the ADK. 3. Next, next, next the rest of the ADK10 install. 1. 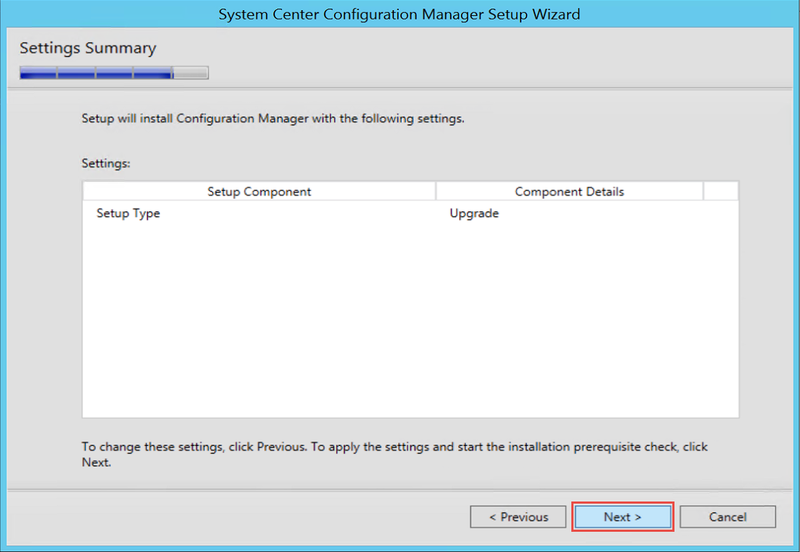 Install KB3095113 on your WSUS server to enable support for feature upgrades. 3. It should select the upgrade option by default and click next. 4. 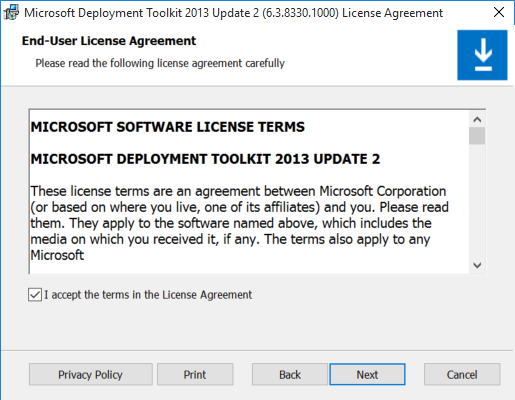 Accept the prereq licensing and click next. 5. 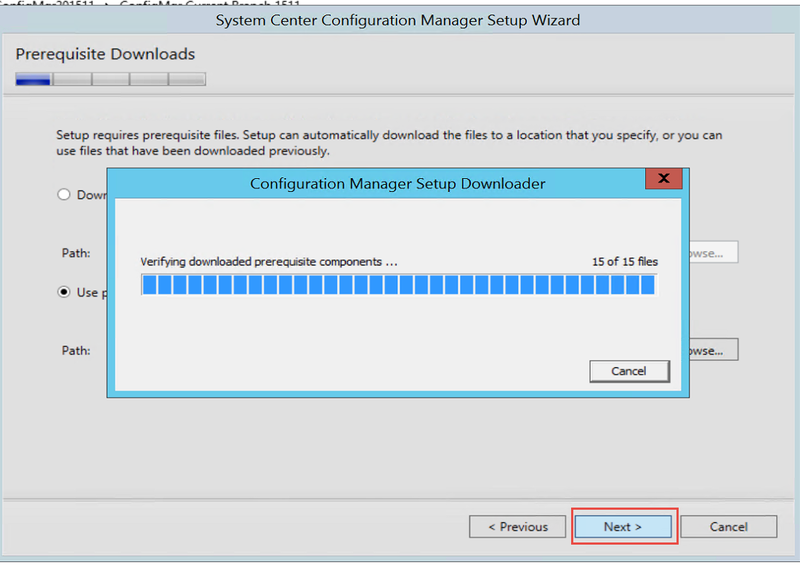 Specify and select the download location and click next. In my example I already downloaded the files. 6. Confirm and next the next two language pages. 7. Click next on the settings summary. 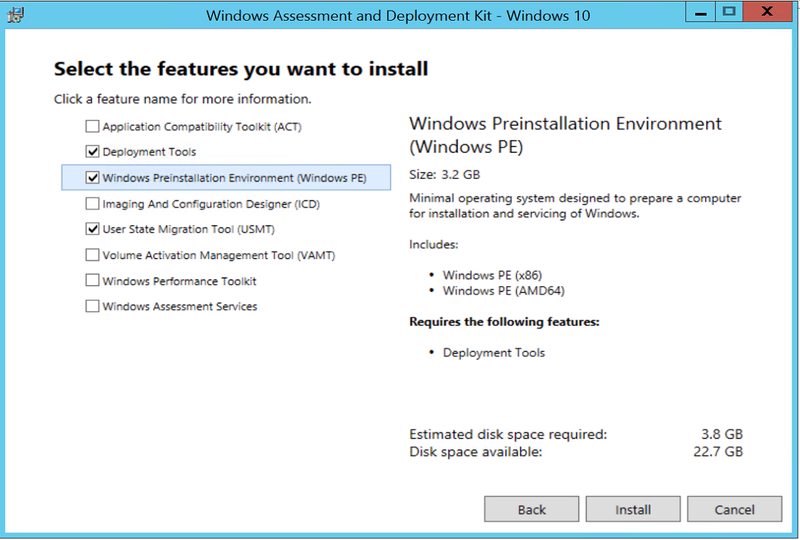 Note: There is a bug on the install which throws a warning regarding the OS not being supported if installing on Windows Server 2012 R2. You can ignore this. 10. 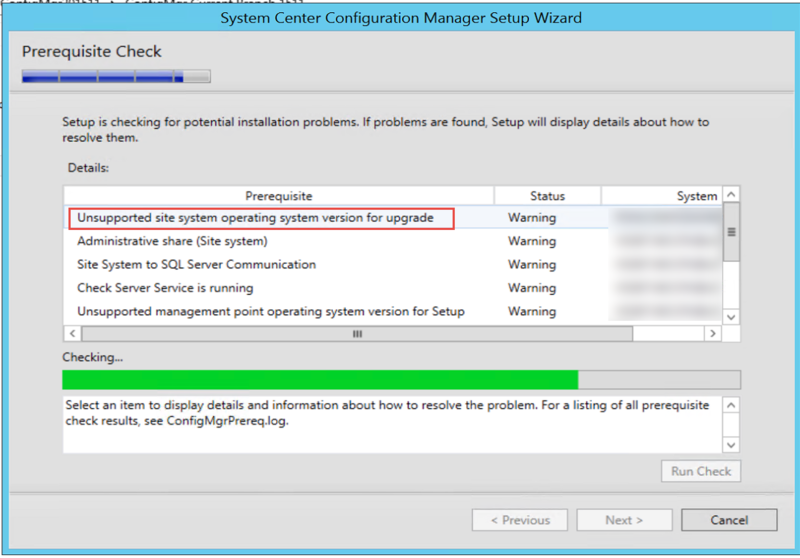 When the core setup is complete, DON’T close the wizard and check the log to confirm upgrade successful. 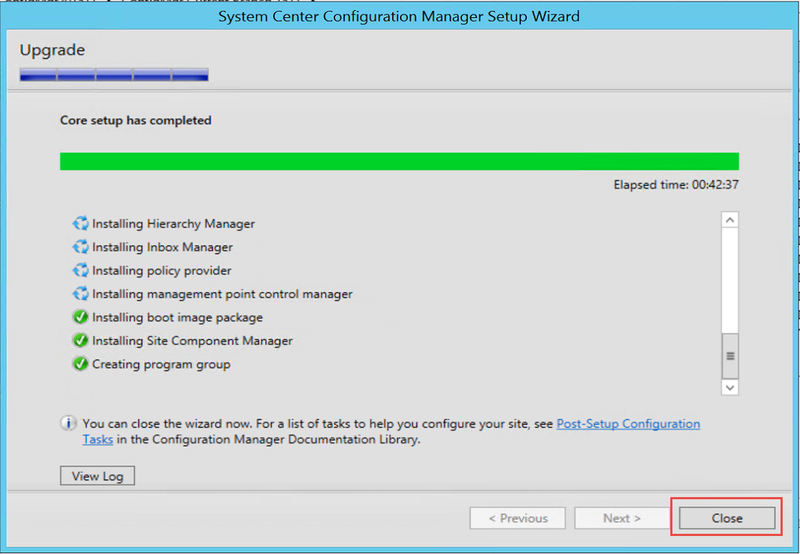 The wizard will indicate when the rest of the components are completed. 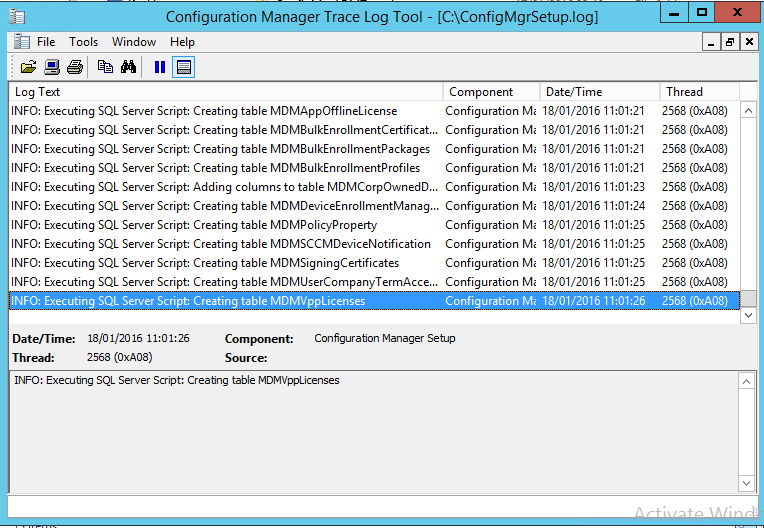 Optionally (or if you closed the wizard by accident like me :S) check the following logs to see the status in Program FilesMicrosoft Configuration ManagerLogs to see the status. Notice the last message still references 2012, got to it love it :). I found the Compsumm.log most useful as you could see the components slowly go down as they were getting installed. 1. 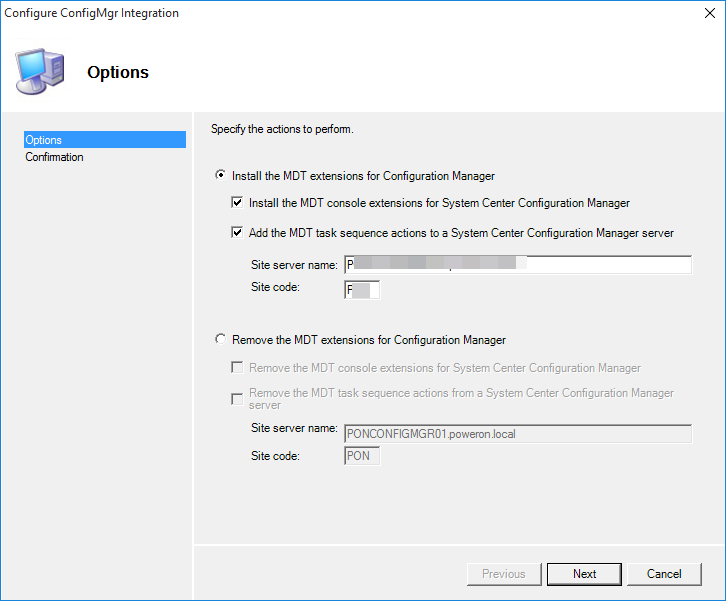 As above there is a bug on the install which throws a warning regarding the OS not being supported if installing on Windows Server 2012 R2. You can ignore this. 2. When running the console on the primary server, I got this message. This was due to the console install failing because there were still sessions on the server. Installing the console from the splash screen fixed the issue. After the installation is complete. 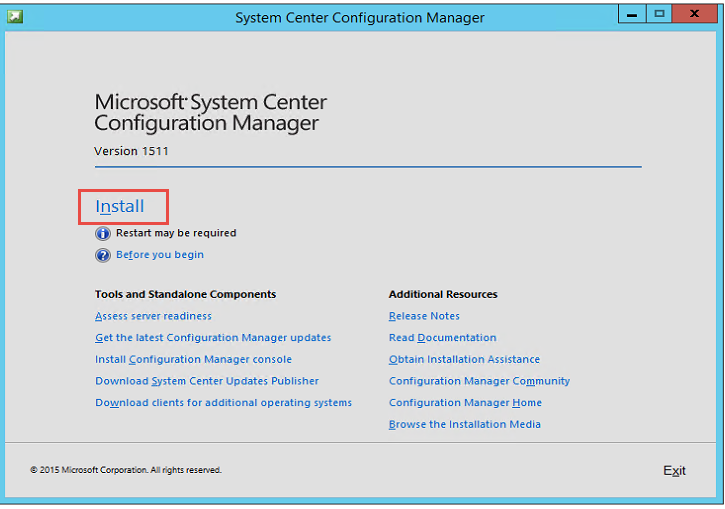 Apply KB3127032, this hotfix is to fix Windows 10 upgrades not downloading in System Center Configuration Manager. it’s just a SQL fix and can be downloaded below. 1. 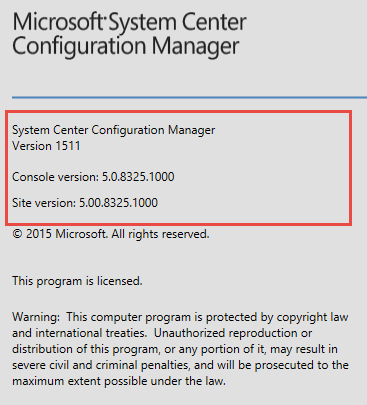 Run the 1511 install splash screen and select the launch configuration manager console. 2. Next, Next, Next through the setup then launch the console. 3. Launch the console and confirm the version by looking the the about properties. 1. 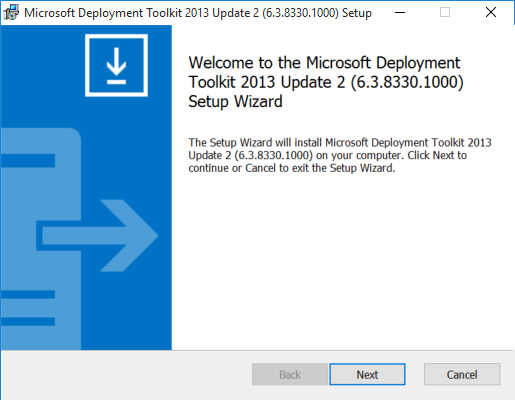 Download the MDT 2013 Update 2 from here. 2. 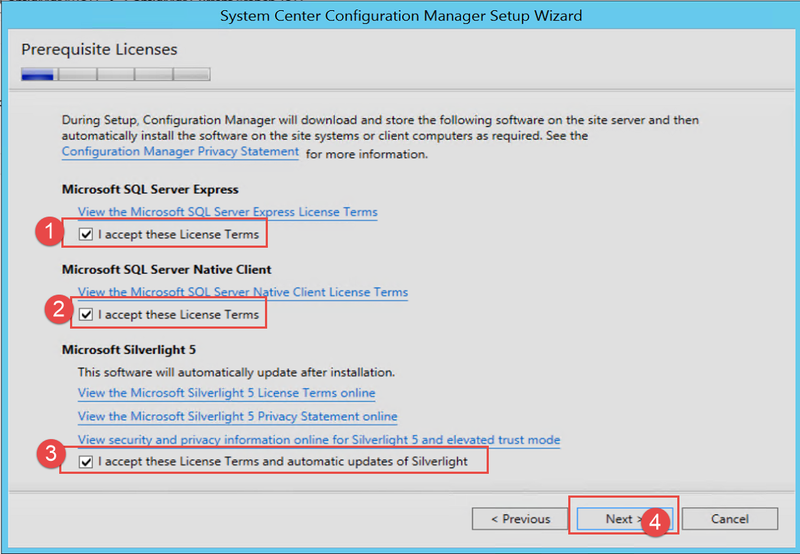 Run the install with admin rights then click next to start the installation. 4. Click next on the custom step pane. 5. 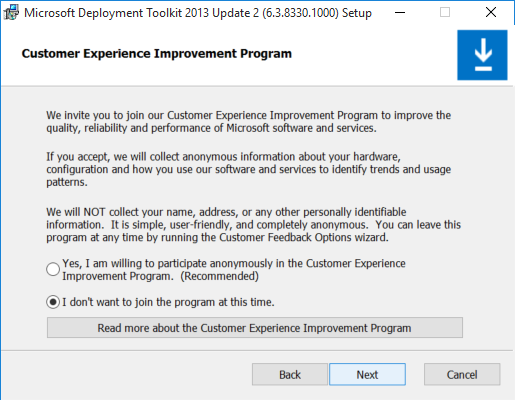 Optionally agree or disagree to the customer experience improvement program. 7. When MDT is installed click finish. 9. 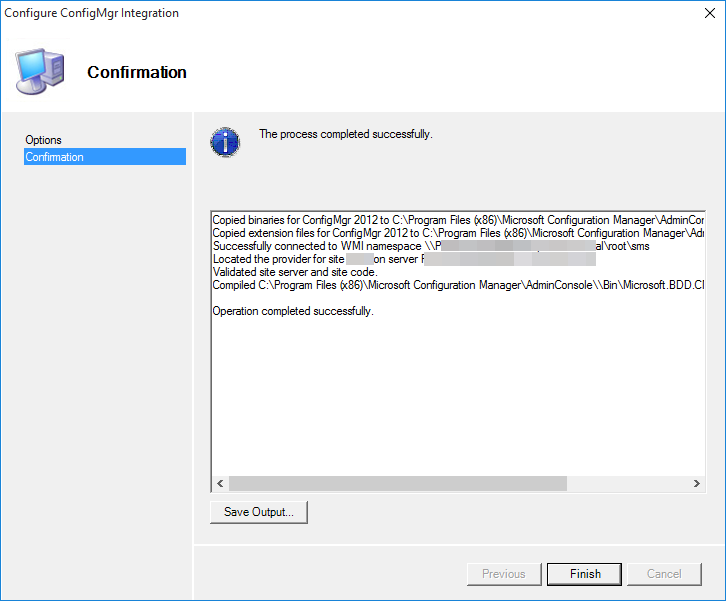 Confirm the configuration is correct and click next. 10. Click finish and your good to go. 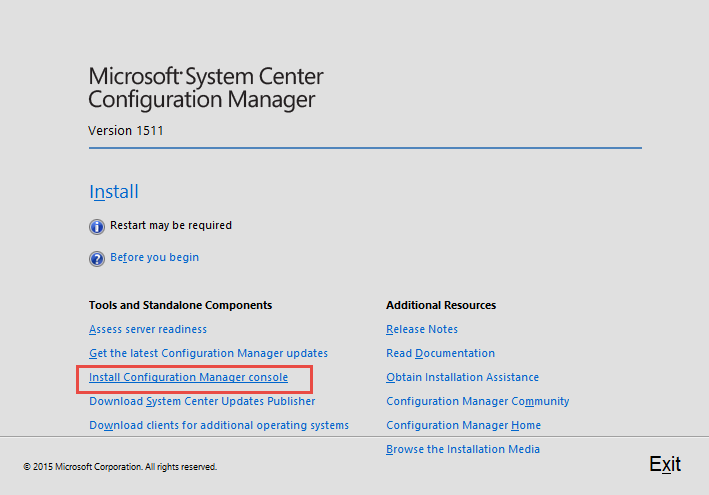 With 1511 there is a new tab to upgrade clients automatically. 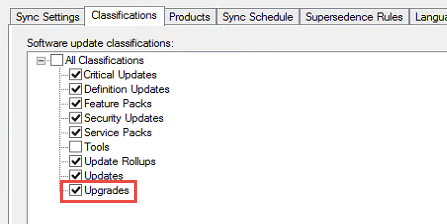 This setting can be found under Administration > Hierarchy Settings > Client Upgrade. The pre-production client version isn’t something live yet from the looks of it but we created a collection ready for when this does become active. 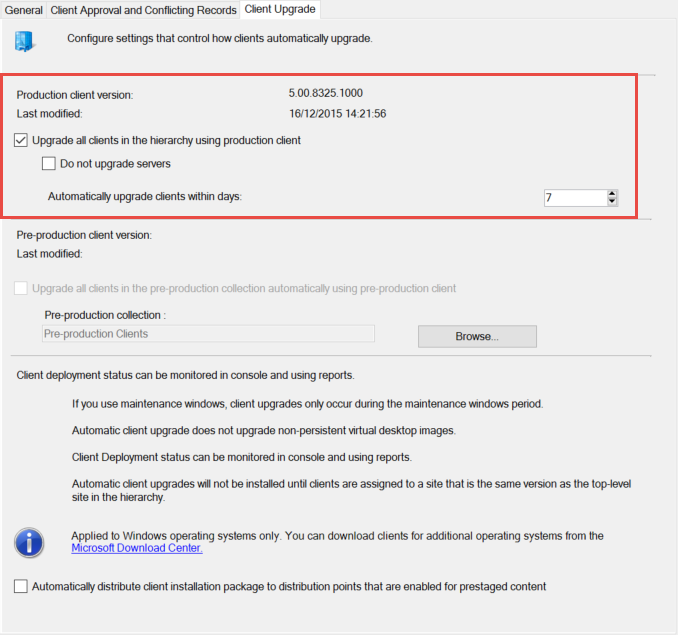 This feature will allow client upgrades to be sent out to test collections first. 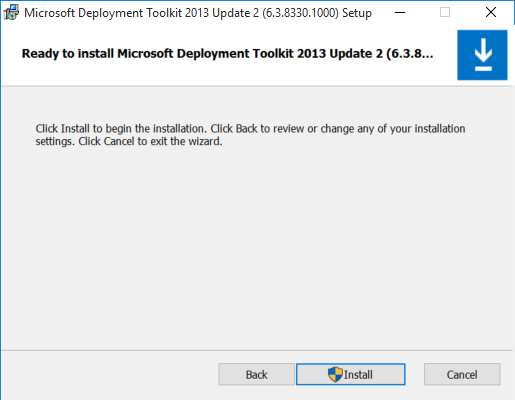 For Windows 10 upgrading, you need to ensure the software update point components are updated to include Upgrades and Windows 10 product (if not already done so.). 2. 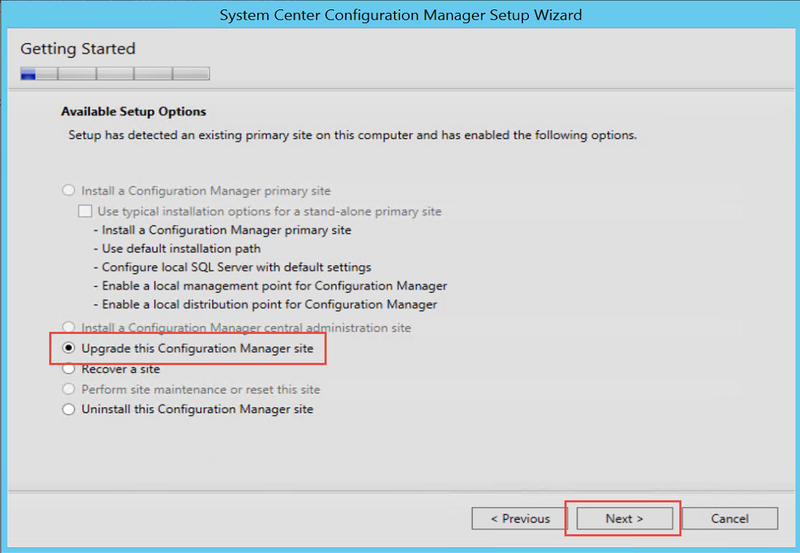 Go to Administation Sites and drop the configure site components setting from the top ribbon. Then select Software Update Point. 3. 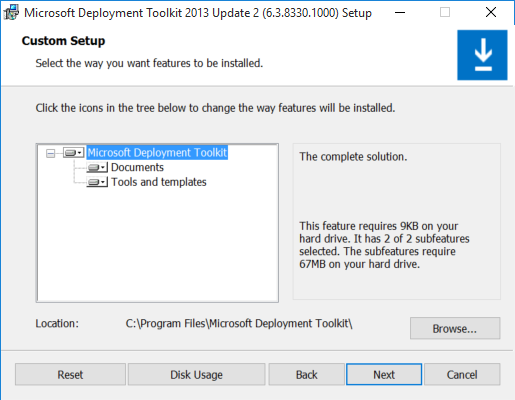 Tick Upgrades from the classification and Windows 10 from the products tabs. If you have Windows 7 boot images (Version 6.3), you will find they are only now read-only. This is because the different ADK versions. It’s is recommended to keep in mind you may have to update your builds to newer boot images if you need to add new drivers at a later stage.